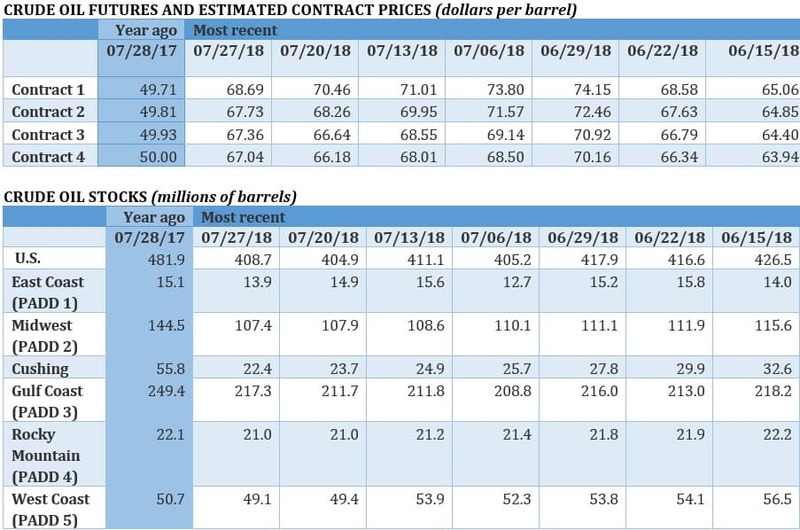 Oil traders are being pulled in every direction, with OPEC production on the rise and fears of a looming supply shortage sending prices spinning. Oil prices are set to close out the week slightly down, although WTI and Brent regained some lost ground on Thursday. Oil traders are trying to balance two competing narratives. 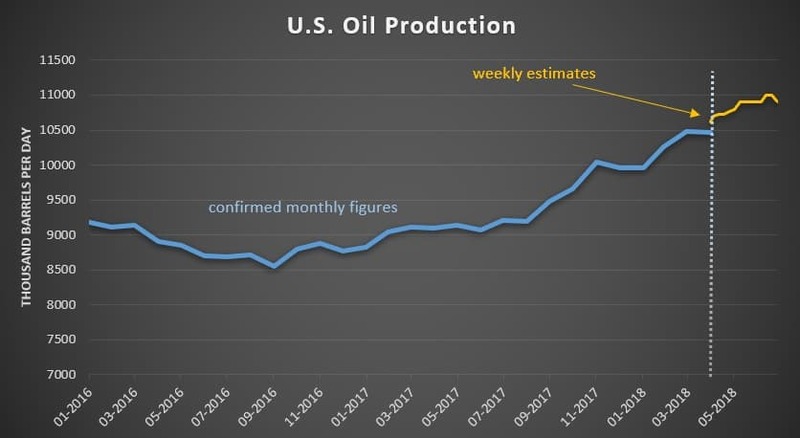 The first, is that rising OPEC production and a growing global trade war will cause a demand surplus. The second, that strong demand and an increasing amount of supply disruptions will lead to a shortage of oil in global markets. OPEC production jumped 340,000 bpd in July. 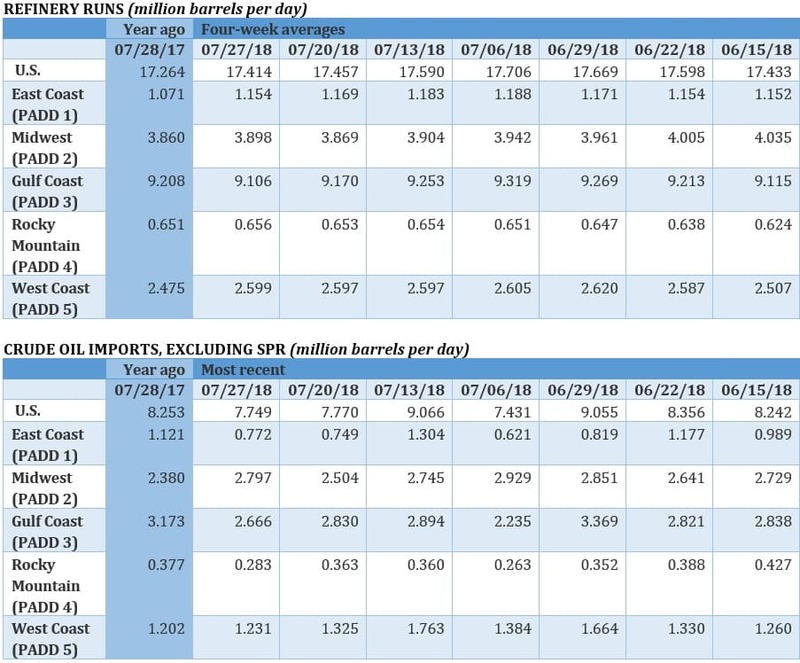 OPEC boosted production by 340,000 bpd in July, as several members of the group ramped up output. Saudi production jumped to 10.63 million barrels per day (mb/d), close to a record high, according to S&P Global Platts. Kuwait, the UAE, Iraq and Algeria all boosted output to their highest levels since December 2016, just ahead of the implementation of the original OPEC+ deal. Meanwhile, Iran’s production fell to 3.72 mb/d in July as buyers began to curtail imports. Venezuela’s production also fell to 1.24 mb/d. Libyan output fell to 670,000 bpd. Overall compliance with the agreed upon cuts slipped to 105 percent, down from 131 percent in June. Iran begins naval exercise near Strait of Hormuz. In apparent response to harsh rhetoric from President Trump, Iran began naval exercises near the Strait of Hormuz, according to the Wall Street Journal. The exercises are annual, but analysts say they were moved up by a few days, suggesting they are in response to Trump’s verbal assault. “We’re watching it pretty closely,” a U.S. military official said. White House unveils plan to weaken fuel efficiency standards. As expected, the Trump administration released a proposal to water down fuel efficiency standards for cars and light trucks. Instead of ratcheting up each year through 2025 at over 50 miles per gallon, automakers will only have to achieve a fleet wide standard of about 37 mpg after 2020. Crucially, the Trump administration wants to take away California’s authority to set its own fuel efficiency requirements, a move that will likely result in a lengthy legal battle. China won’t increase purchases of Iranian oil. 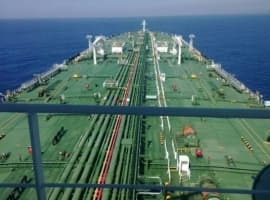 China has declined to cut off purchases of Iranian oil, but it has apparently agreed not to increase imports, according to Bloomberg. The decision is a modest success for the U.S. government, which is seeking to isolate Iran. The fear for the Trump administration was that China would ramp up imports to offset Iran’s losses elsewhere, a move that would undercut the effect of sanctions. China’s decision to stand back could result in significant production declines for Iran. Sinopec will hold off on buying U.S. crude. Even as the U.S. is pressuring China not to buy oil from Iran, the U.S.-China trade war is interrupting oil flows. Sinopec will reportedly not buy U.S. oil in September due to the threat of a significant escalation, which could prompt Chinese retaliation by putting tariffs on U.S. crude. China had already been reducing purchases because the WTI discount has narrowed recently. Imports from the U.S. for July and August are expected to fall by half compared to June levels. Natural gas hub prices converge. 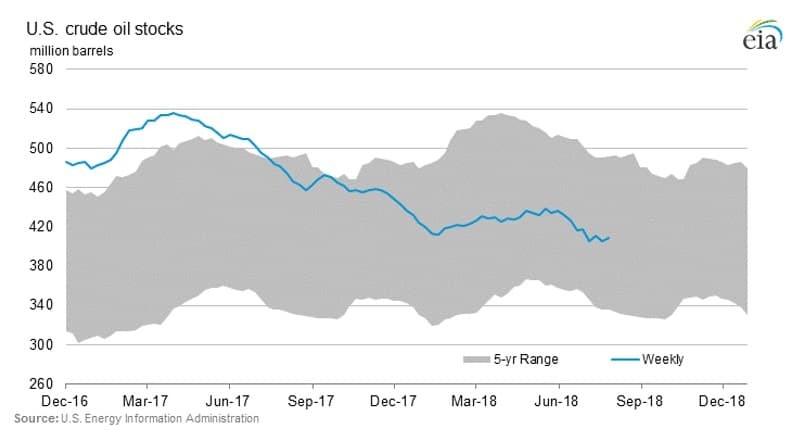 Natural gas prices in the Marcellus shale have typically traded at a discount relative to Henry Hub, the more prominent benchmark based in Louisiana. That was because gas supplies in the Marcellus exceeded the region’s takeaway capacity. A handful of new pipeline projects coming online in 2018 have narrowed that discount. 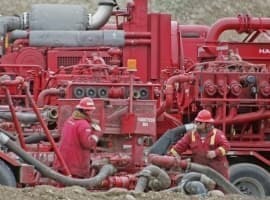 Canada cuts carbon tax. The Canadian government has decided to reduce the scope of its carbon tax, set to take effect next year. Instead of affecting 30 percent of the emissions from industry, the levy will only affect 20 percent. The tax will start at C$10 per ton and rise to C$50 per ton by 2022. Oil tanker purge. 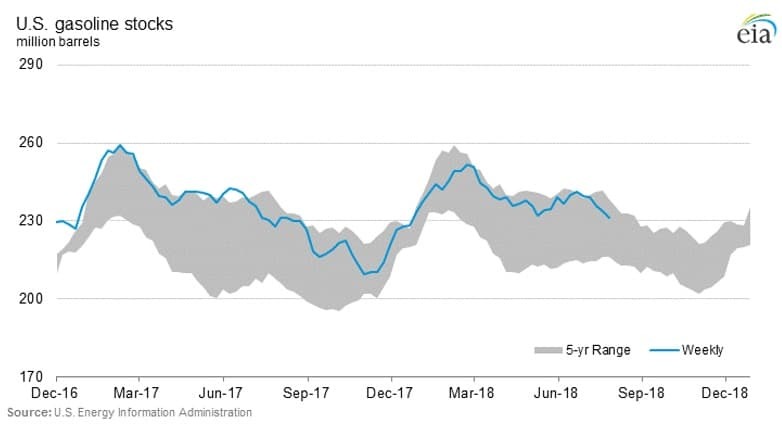 Ship owners are scrapping oil tankers at the fastest rate since the 1980s, in part a result of the OPEC production curtailments since 2017 and low tanker rates. However, analysts expect the surge in scrapping to pave the way for a rebound in shipping. “The more you scrap, the more you bring the recovery forward and accelerate its speed. The market will strengthen with high scrapping even with smallest growth in demand,” Fotis Giannakoulis, a shipping analyst at Morgan Stanley, told Bloomberg. Pipeline explosion in Texas. At least seven people were injured when a natural gas pipeline exploded in West Texas. 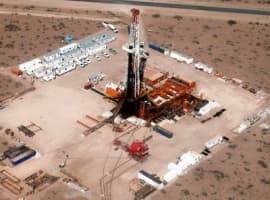 Kinder Morgan (NYSE: KMI), which owns the El Paso Natural Gas Pipeline, said the pipeline was isolated. Tesla reports huge loss, but smaller than expected. Tesla (NASDAQ: TSLA) reported a loss of $717 million in the second quarter, which was an improvement over the first quarter and a smaller loss than analysts had expected. The results led to a spike in Tesla’s share price. The financial pressure is still on, but Elon Musk predicted the company would ramp up production of the Model 3 and turn a profit later this year.